I have a lot of reservations and anxiety about the photos I post on this blog. Food photography is hard – especially when you are using bad lighting and your phone to take pictures. Many recipes never make it on here because I am not satisfied with the photos I took, or we were just too hungry to stop and take a picture. Looking at other food blogs, it is easy to feel like a failure – but then I remember why I am actually here…to post my favorite recipes in one spot and share tidbits of my life. That should be good enough for me. So now we are here – Split Pea Soup will never be renowned as a beautiful looking dish – but hot damn it’s good. 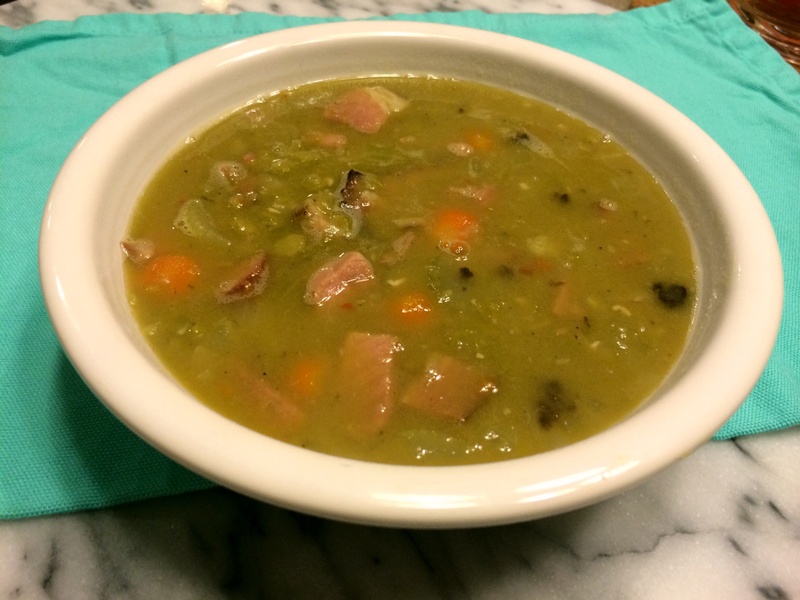 This recipe for split pea soup was so f*&$ing delicious and life changing, I can’t even begin to tell you. Yes, it takes some time, but it’s just so humble and worth it. I Love it so, so much. I slightly adapted the recipe from Emeril, and it just makes me love him even more. Place the peas in a large pot or bowl, cover with water by 2 inches and soak 8 hours or overnight. Drain the peas and set aside. Score the ham hock. Place in a pot, cover with water and bring to a boil. Reduce heat and let simmer for 1 hour. You can drain and set aside, but I saved the water for my soup stock. I think it was a good decision. In a large pot, melt the butter over medium-high heat. Add the onions and cook, stirring, for 2 minutes. Add the celery and carrots and cook, stirring, until just soft, about 3 minutes. Add the garlic and cook, stirring, for 30 seconds. 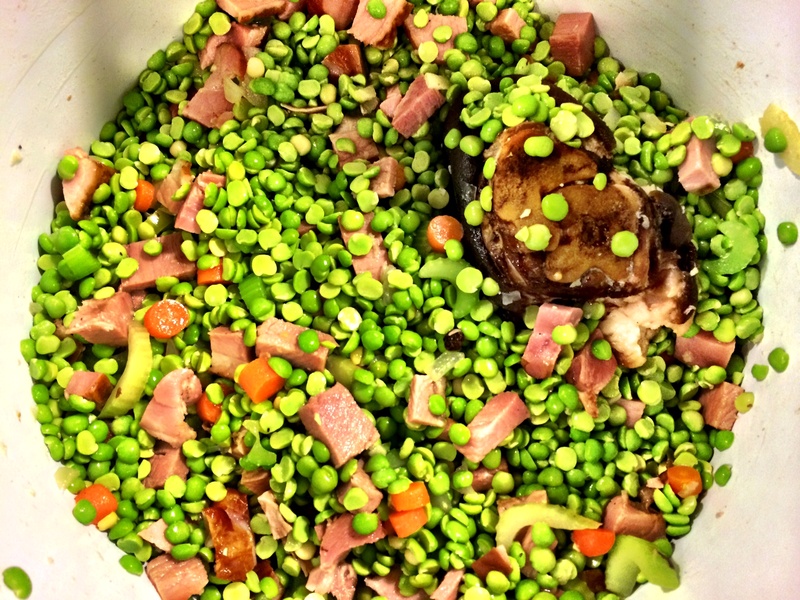 Remove the bay leaf and ham hock and discard. Adjust the seasoning, to taste, and serve immediately.